Like many residents of Overland Park you want your home to be pest free. A few residents choose to try and manage and protect their home themselves, but find it too time-consuming, costly, or don’t have the expertise to keep all of the variety of pests that can invade your home. Many prefer to use a pest control company in Overland Park, like us. You may ask why should you use Mantis Pest Solutions over another pest exterminator in Overland Park? Our goal at Mantis is to provide the best pest control in Overland Park. 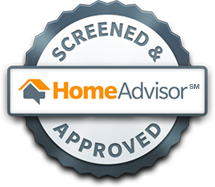 With over 30+ years of experience, we know we can give you the best service. 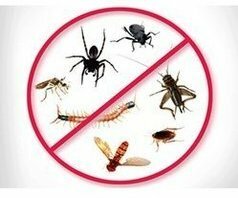 This includes everything from a guarantee on all of our pest control services such as rodent control, bed bug treatment, spider removal, and all of the others. If we can’t prevent them we will come back and reservice your house for free. We are also your neighbors and want to provide the best customer service and prices possible. Call us today and ask how you can get $75 off your first pest control service. To learn more about the exterminator services from Mantis Pest Solutions in Lees Summit, call us today at (913) 225-7060. On time, for my crazy schedule to meet and went over everything with me so I understood exactly what was going to happen. Excellent service. Ty was very courteous and thorough. Would definitely recommend to others. Overland Park is a beautiful place with its humid subtropic climate and a variety of free things to do as a family and is a perfect place to live. In fact, Overland Park is the second most populated city in Kansas. Although these numbers show it is a great location for your family it is also the second most populated city for pests such as rodents, ants, spiders, bed bugs and more. This climate provides for a variety of different pests, as well as places for them to live in and hide, but like mosts pests, they are going to prefer your house. These pests can be more than just a nuisance, they can destroy your property, contaminate and eat your food, and even harm your family and pets.